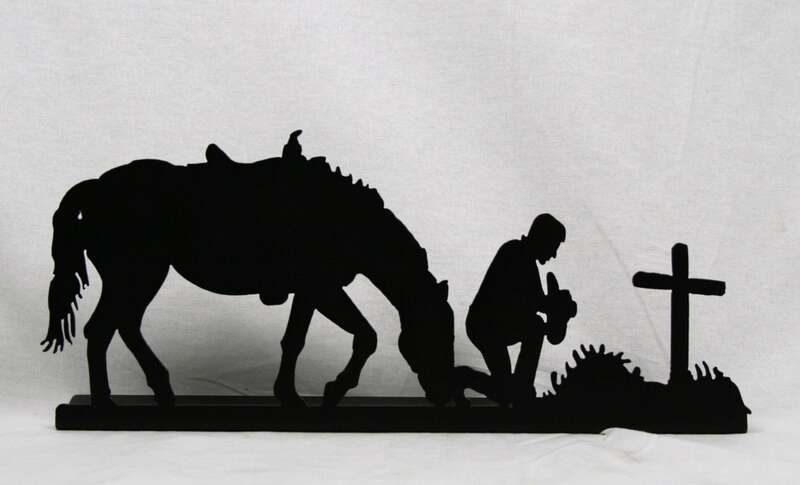 Praying cowboy and horse makes a great gift! This metal art piece stands alone on a table-top or shelf. The beautiful piece was cut from steel about as thick as a nickel. 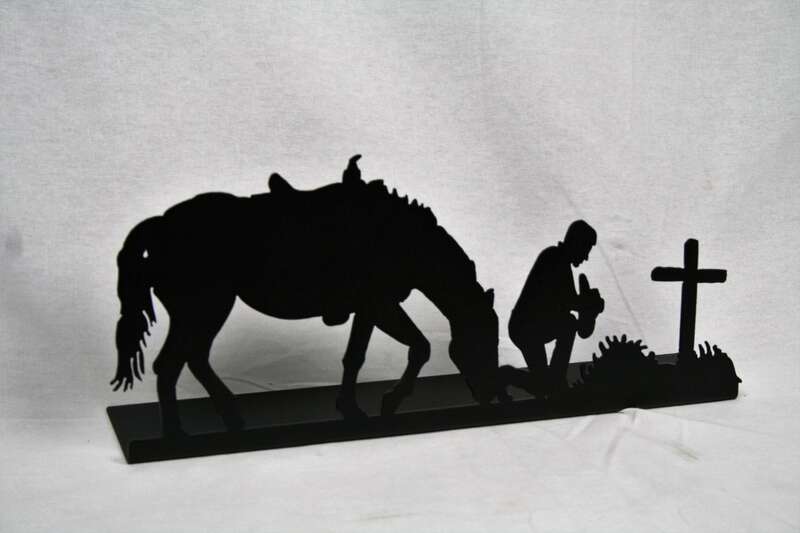 The praying cowboy scene is 16" wide. It is bent at a 90-degree angle so it stands up on its own. The rustic style western art piece is coated with durable powder-coat in a variety of rustic colors. Great for your western decor. Also makes a very thoughtful memorial gift. We hope you'll love our western prayer art pieces as much as we loved creating them!